Going the extra mile for customers, Torque Auto is a preferred source for auto repairs and maintenance in Dartmouth and surrounding areas. From engine work and transmissions to rust protection and winterizing, we handle all types of jobs for all makes and models of imports and domestics. If we can’t fix it, it can’t be fixed. Torque Auto will take the time to show you exactly what is wrong with your vehicle. You will understand and agree to all repairs before any work begins. Our prices are competitive and we do our best to beat any competitor quotes. If needed, we can arrange to pick up or deliver cars to your home or office. 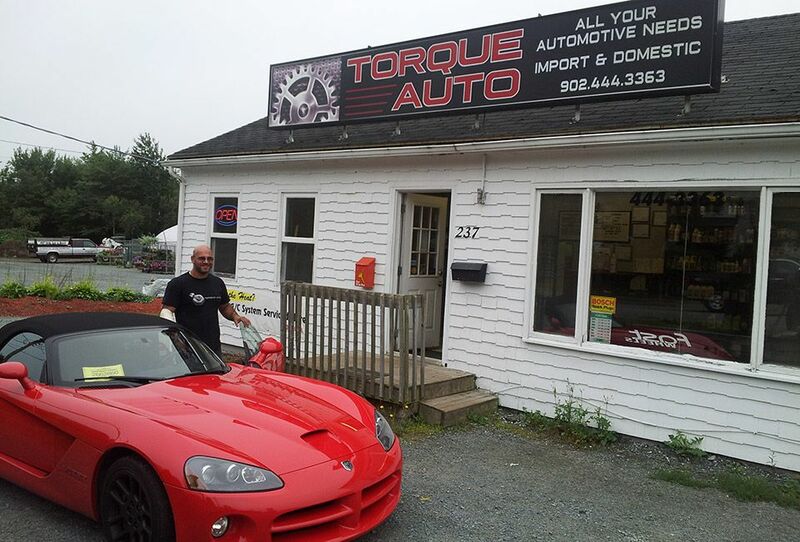 Torque Auto is owned by Rabih (Rob) Khoury, who has 18 years of industry experience. Rob is a certified Red Seal master mechanic who is passionate about his job and willing to do everything he can to make sure your vehicles run correctly and safely. His hobby of working on cars has now turned into a full-time profession. Rob’s engine building and general automotive ability has resulted in awards at various car shows. Schedule your appointment for Dartmouth auto repairs at Torque Auto. We do our best to accommodate emergencies and walk-ins. Our shop is easy to find off Waverly Rd, across the street from Tim Hortons.